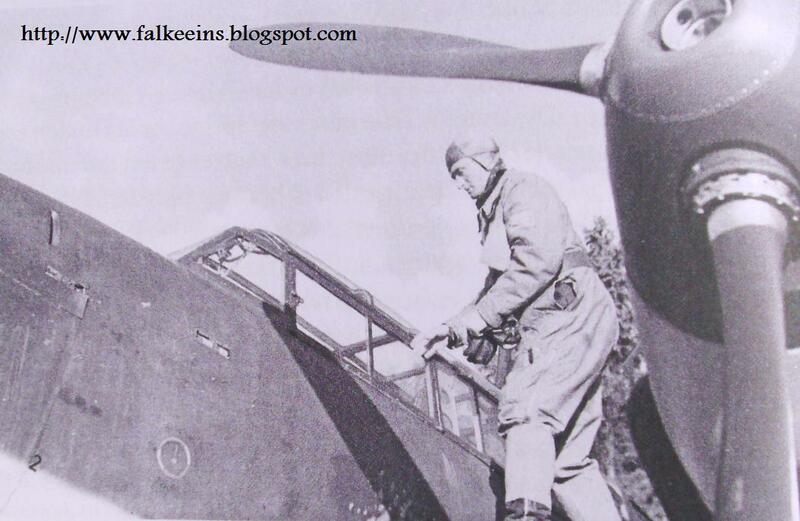 Major Wilhelm Spies Gruppenkommandeur I./ZG 26 achieved 11 aerial victories in the east. Spies was honoured with a posthumous Oakleaves and promotion to Major after being KIA on 27 January 1942. Issue 10 of 'Der Adler' dated 10 May 1942 announced his death and published this view of him in the cockpit of his Zerstörer, wearing the Ritterkreuz awarded on 14 June 1941. Shot down during a close support mission near Sukhinichi on the Eastern Front, he had some 20 kills to his credit at the time of his death. He had flown with the Condor Legion in Spain and was the first member of the original Zerstörer arm to be awarded the Oak Leaves. 3U+AB, the machine of Hptm. 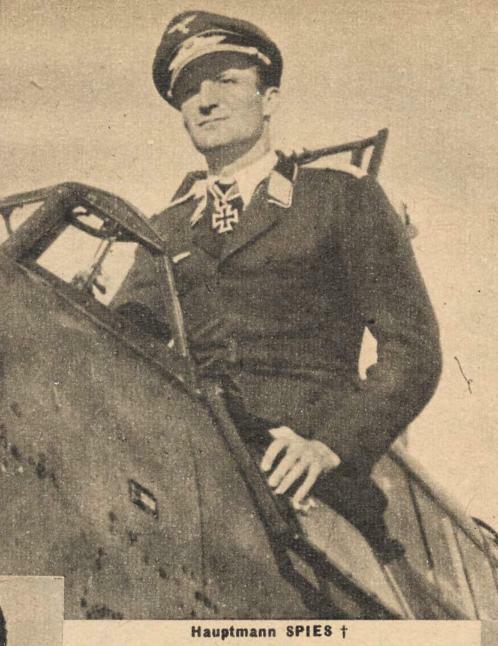 Wilhelm Spies, Gruppenkommandeur of I./ZG26, with twenty one victory bars on the fin. The letter 'A' is in the Gruppenstab colour of green, outlined in white. Note the protective cover over the Bordfunker's machine gun. Gruppenkommandeur III./ZG 26 Schalk and his Bordfunker Uffz. 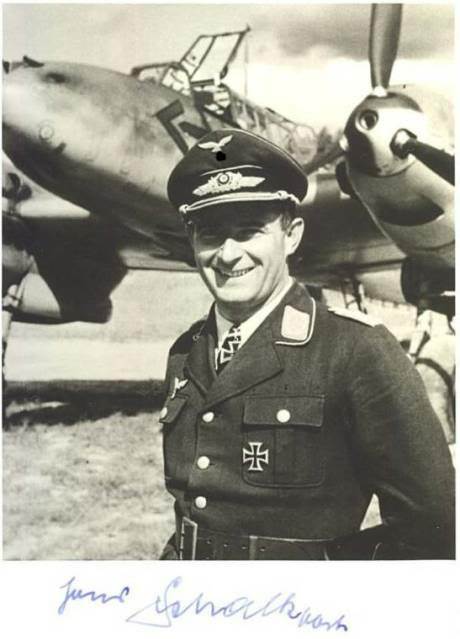 Hans Scheuplein had been one of the most succesful Zerstörer crews over France with five kills between them and the pair were credited with a further six over England.
" ..The Me 110 was at least equal if not superior to enemy types such as the PZL, the Morane, Hurricane and Spitfire. Even the improved Spitfires that appeared during the autumn of 1940 could be met on equal terms in combat due to the greater combat experience of the Luftwaffe Zerstörer crews and the greater weight of fire that could be brought to bear in the combat zone..."
In the image below Staffelkapitän 5./ZG 26 Oblt. 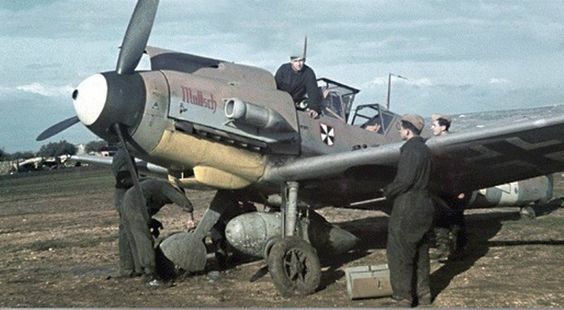 Thodor Rossiwall is seen at the controls of his Bf 110 E '3U+AN' over Hungary in February 1941. Following deployment over England during the Battle of Britain 5./ZG 26 moved to Memmingen, southern Germany during November 1940 before shifting to Debrecen Hungary during January 1941 and then Rumania and Bulgaria for the Balkans offensive. 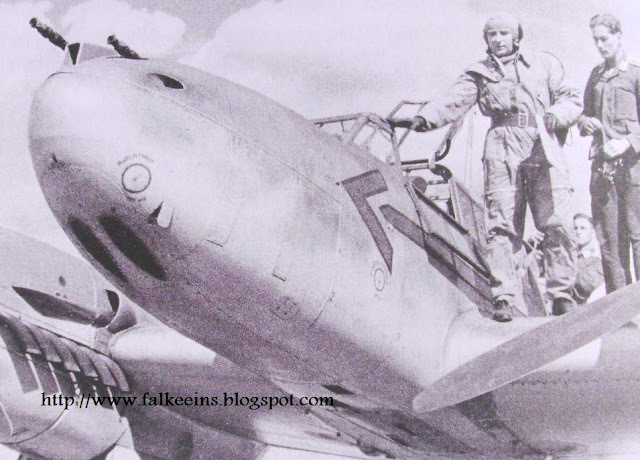 Promoted in the interim to Hauptmann, Rossiwell flew his first sortie against Yugoslavia on 6 April 1941 before particpating in the campaigns against Greece, Crete and Russia. His RK was awarded on 6 August 1941. After his 10th victory he retrained as a nightfighter before being appointed Staffelkapitän 6./NJG4 on 5 April 1942 and Kommandeur II./NJG 4 on 1 October 1942. He achieved two victories at night before being appointed Kommodore of the re-formed ZG 76 in August 1943 and achieved three Viermot Abschüße. 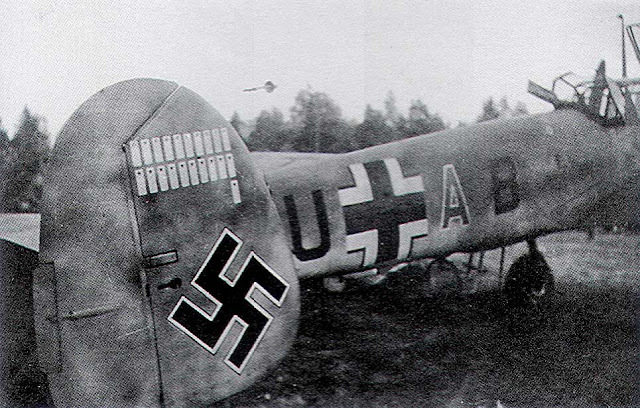 He was seriously injured in a takeoff accident on 24 January 1944 at Fürth. For more on Rossiwall see Paul Stipdonk's 'Die Deutsche Luftwaffe' - Zerstörer-und Nachtjagdverbände Teil 4 available at the VDM Verlag Heinz Nickel homepage. I./ZG26 (9 "aces"): 1) Hptm. Wilhelm Makrocki Stab I. 9 vict. RK 6.10.40; 2) Oblt. Wilhelm Spies, 1 Staffel 9 vict. RK 14.6.41; 3) Lt. Walter Manhart 3 Staffel 7 vict No RK (see note below); 4) Oblt. Hans-Jürgen Kirchoff 3 Staffel 7 vict No RK; 5) Oblt. Günther Specht Stab I. 6 vict RK 8.4.44; 6) Oblt. Johannes Kogler 1 Staffel 5 vict No RK; 7) Lt. Werner Thierfelder, Stab I. 5 vict RK 10.10.41; 8) Oblt. Johannes Kiel 3 Staffel 5 vict RK 18.3.42; 9) Oblt. Edward Meyer 1 Staffel 5 vict RK 20.12.41. II./ZG26 (6 "aces"): 1) Lt. Walter Manhart 6 Staffel 13 vict NO RK (see note below); 2) Oblt. Theodor Rossiwall 5 Staffel 7 vict RK 6.8.41; 3) Obfw. Karl Herzog 6 Staffel 6 vict. No RK; 4) Oblt. Walter Henken Stab II. 5 vict. No RK; 5) Obfw. Kurt Rochel 5 Staffel 5 vict No RK; 6) Oblt. Arthur Niebuhr 4 Staffel 5 vict No RK. Notes. 1) Only one member of I. or II./ZG26 received the RK during 1940, Makrocki, the I. Gr. Kdr. 2) Manhart served in both 3 and 6 Staffeln of ZG26 during 1940, so he appears on both lists.